BAJURA, May 16: A Makalu air Cessna Grand Caravan cargo plane call sign 9N-AJU crash landed at Dhulachaur in Bajura district. 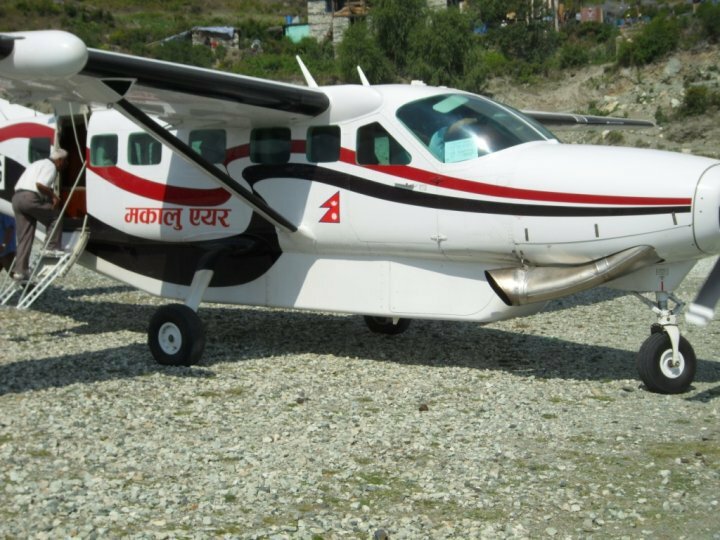 The plane had taken off from Surkhet to Humla district headquarters Simikot. It took off from Surkhet Airport at 6:12 am Wednesday morning and was scheduled to land at 6:55 am at Simikot. The plane was out of contact for over two hours. Tribhuvan International Airport (TIA) General Manager Rajkumar Chhetri said the plane was found. The plane was flown by Captain Kiran Bhattarai and co-pilot Aditya Nepali.